Grand Rapids Symphony presents cutting-edge new music by four emerging composers entered in ArtPrize 2018. In Grand Rapids, ArtPrize is one of the biggest cultural events of the year, bringing artists from all over the world to West Michigan to participate in the $500,000 competition. Grand Rapids Symphony has entered the 10th annual exhibition and competition in a big way, sponsoring not one or two, but four musical entries in ArtPrize 2018. Grand Rapids Symphony will give live performance of music by four emerging composers on Friday and Saturday, Sept. 28-29 at The Morton in downtown Grand Rapids. The composers and the titles of their words are Emmanuel Berrido (Danza Ritual), Tyler Eschendal (Zarathustra Mixtape), Jiyoung Ko (Remembrances), and Daniel Leo (Blowing Mad Clouds). Guest conductor Jacomo Bairos, who led the Grand Rapids Symphony’s appearance at UICA at ArtPrize in 2016, will return to lead the orchestra in all performances that are part of the Grand Rapids Symphony's ArtPrize 2018 entries. The four composers, including two with Michigan ties, were chosen in collaboration with the American Composer’s Orchestra in New York City from an international candidate pool of 159 applicants. 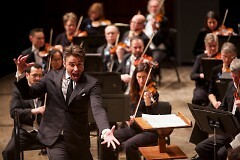 The American Composer’s Orchestra is an organization devoted exclusively to performing new music. 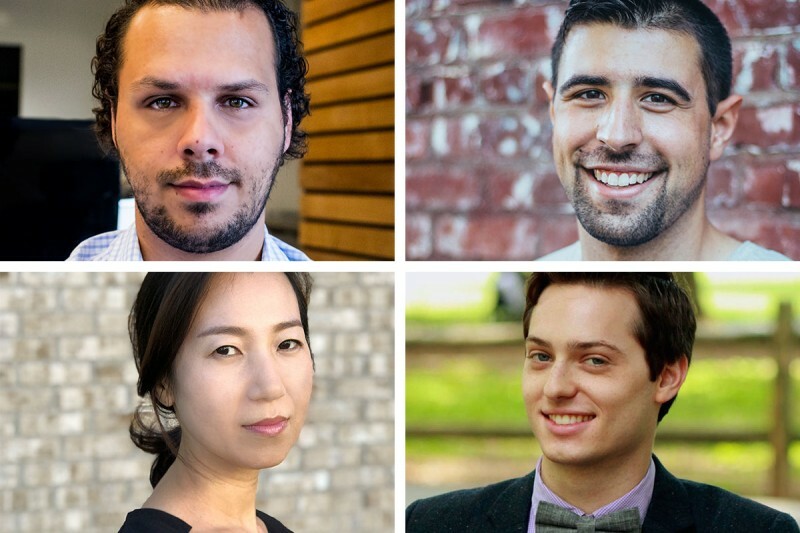 Its EarShot program identifies and promotes the most promising orchestral composers who are emerging on the national stage. Tyler Eschendal, who was born in 1993, is a composer and percussionist originally from the suburbs of Detroit who now lives in Los Angeles. His Zarathustra Mixtape uses fragments of Richard Strauss’s tone poem Also Sprach Zarathustra, which is better known as the opening theme from the film 2001: A Space Odyssey. Jiyoung Ko, who was born in 1982 also is a Michigan-based composer. Her Remembrances explore memories and emotions through music. Emmanuel Berrido, who was born in 1986, is a Dominican-American composer. His Danza Ritual explores Afro-Caribbean religious dances. Performances will be held at The Morton, 72 Monroe Center NW. You also can enter The Morton from 55 Ionia Ave. NW. Each concert will last about 45 minutes. Programs will be at 7 p.m., 8 p.m. and 8 p.m. on Friday. Performances will continue at 2:30 p.m., 3:30 p.m. and 4:30 p.m. on Saturday afternoon and will resume at 7 p.m., 8 p.m. and 9 p.m. on Saturday evening. Composers selected will be in residence in Grand Rapids from Sept. 25 through Sept. 30 with the Grand Rapids Symphony during ArtPrize. Participating composers will receive mentorship from established composers, feedback sessions with GRS musicians, and participate in public readings. The ninth annual ArtPrize opened Sept. 19 and ends on Oct. 7. Last year, ArtPrize 2017 displayed more than 1,300 works of art in 175 locations in downtown Grand Rapids that were created by more than 1,500 artists from 42 U.S. states and 47 countries. 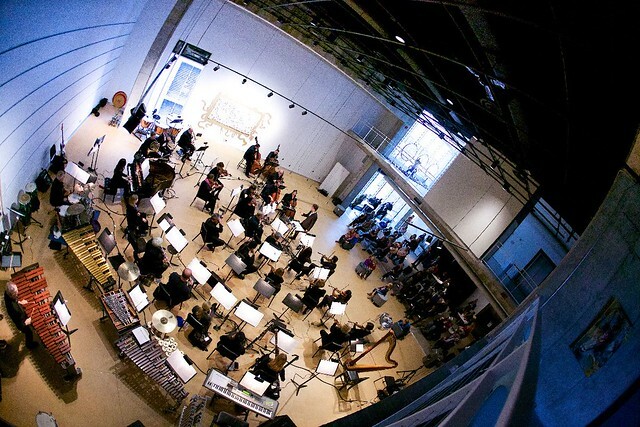 Since ArtPrize was launched in 2009, Grand Rapids Symphony has participated several times in the annual exhibition and competition. 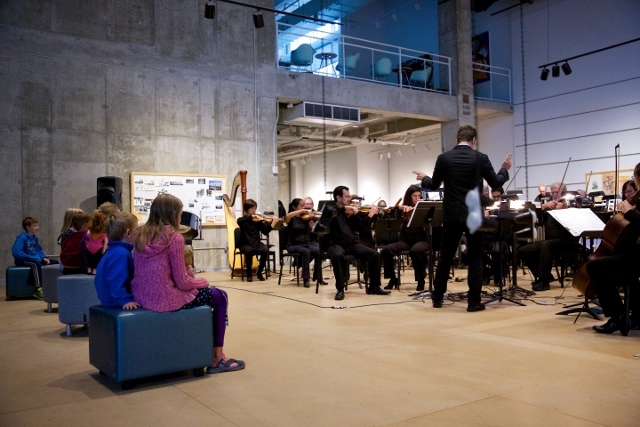 During ArtPrize 2016, members of the Grand Rapids Symphony performed for ArtPrize’s Blue Bridge Music Festival, and the full orchestra gave free performances of new and contemporary music under guest conductor Jacomo Bairos at Urban Institute for Contemporary Arts. In addition to an entry in ArtPrize, a composer may be considered for a commission by the Grand Rapids Symphony for its 2019-20 concert season.